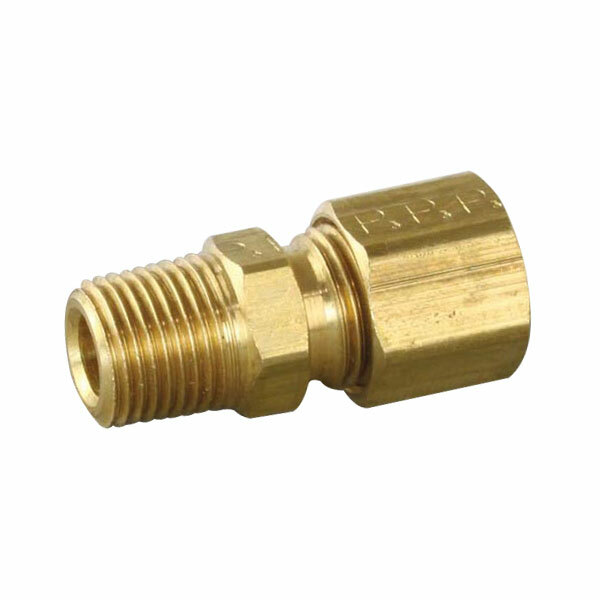 Adaptor, Compression 1/8" MPT to 1/4"
Used on various gas applications where applicable. Adaptor, Compression 1/8" MPT to 3/16"
Commonly used on various Vulcan and Hobart models such as 36SB, 36SBI, FHB1F, FHBI1, FHBIO, FHBO1, HB1, HB1FC, HB2, HBI1, HBI2, VBB2, VBI2, VIB2, VIR2, VIR36, VIR36F, VIR36FS, VIR36S, VRB36, VRB36F, VRB36FS, VRB36S, VSB26I, VSB34IR, VSB34R, VSB36, VSB36IR, VSB36R and where part is applicable. CONNECTOR, MALE-BRASS 5/16 x 1/4"
ELBOW, BRASS - 1/2" x 3/8"
ELBOW, BRASS - 1/4" x 1/4"
ELBOW, BRASS - 1/4" x 1/8"
ELBOW, BRASS - 1/4" X 3/8"
ELBOW, BRASS - 1/8" x 1/8"
ELBOW, BRASS - 3/16" X 1/4"
ELBOW, BRASS - 3/16" x 1/8"
ELBOW, BRASS - 3/8" X 1/2"
ELBOW, BRASS - 3/8" x 1/4"
ELBOW, BRASS - 5/16 x 3/8"
ELBOW, BRASS - 5/16" X 1/4"
ELBOW, BRASS - 5/16" x 1/8"
PLUG, FLARE - BRASS 1/2"
PLUG, FLARE - BRASS 1/4"
PLUG, FLARE - BRASS 3/8"
PLUG, FLARE - BRASS 5/16"